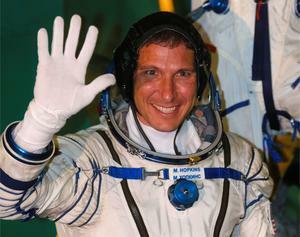 The now-famous Illini astronaut has returned to Earth from the International Space Station. Astronaut and U of I alumnus Mike Hopkins has landed on Earth after spending six months on the International Space Station. The former Illini football captain landed on Monday, March 10 in Kazakhstan, but not before tweeting an aerial shot of campus from up in space. Read more at The Republic. The University of Illinois Alumni Association is dedicated to connecting alumni and friends to positively impact the University of Illinois, its alumni, and its students. Visit http://uiaa.org/illinois/membership/make_gift.html and support our work in connecting one global alumni family.